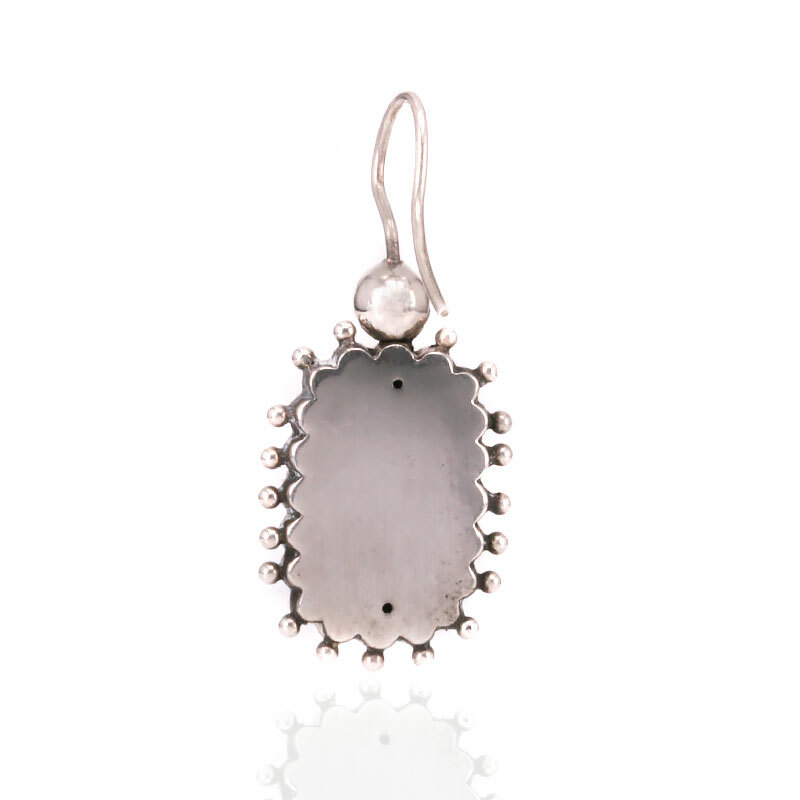 Product code: ES8221 Categories: Antique, Antique Earrings. Here are a very lovely pair of antique sterling silver and rose gold earrings dating from the 1890’s that are perfect to wear day or night and are so unique. Made in sterling silver and with a lovely design to and shape, they are highlighted with rose gold sections that are also hand engraved that adds an extra element of character. The design of these earrings is so beautiful and the detail in each is just wonderful and shows why there is nothing quite as lovely and unique as genuine antique jewellery. Fitted on nice and secure shepherd hooks, these earrings are so comfortable to wear all the time, these are perfect to wear during the day and well into the evening. 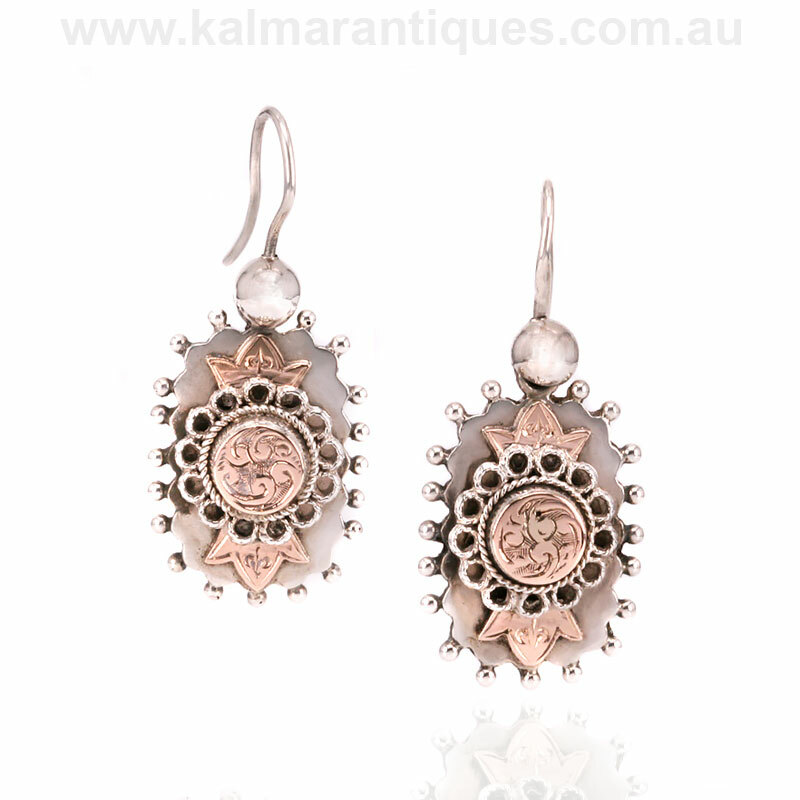 Elegant, sophisticated and stylish are all perfect words that can be used to describe these antique earrings. A lovely pair of antique earrings from the Victorian era.